^ 二、中国对南沙群岛拥有主权的历史依据. www.mfa.gov.cn. [2018-07-30] （中文（中国大陆）‎）. ^ 7.0 7.1 赵静. 文化生态学视角下的南海诸岛地名文化. 熱帶地理. 2016, 36 (6): 1048. ^ 13.0 13.1 13.2 104098. 1975年南海险开战：南越用妓女从菲骗取南子岛--文史--人民网. history.people.com.cn. [2018-07-30]. ^ email@gmail.com, name,. 英媒：越菲海军在南沙南子岛进行所谓“联欢”. www.guancha.cn. [2018-07-30] （中文（简体）‎）. 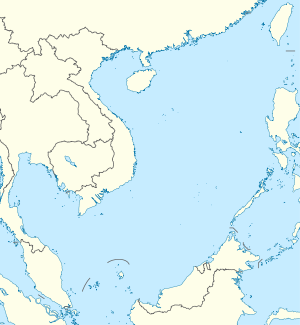 ^ Digital Gazetteer of the Spratly Islands 互联网档案馆的存檔，存档日期2007-07-17.